Some practices are harder to introduce to farmers than others. In Europe, environmental degradation caused by industrial agriculture has given rise to new forms of subsidies for farmers to provide specific environmental services, such as planting hedgerows or keeping wild flower strips around their fields. In developing countries, however, environmental subsidies are non-existent and hence curbing environmental degradation can be extra challenging. 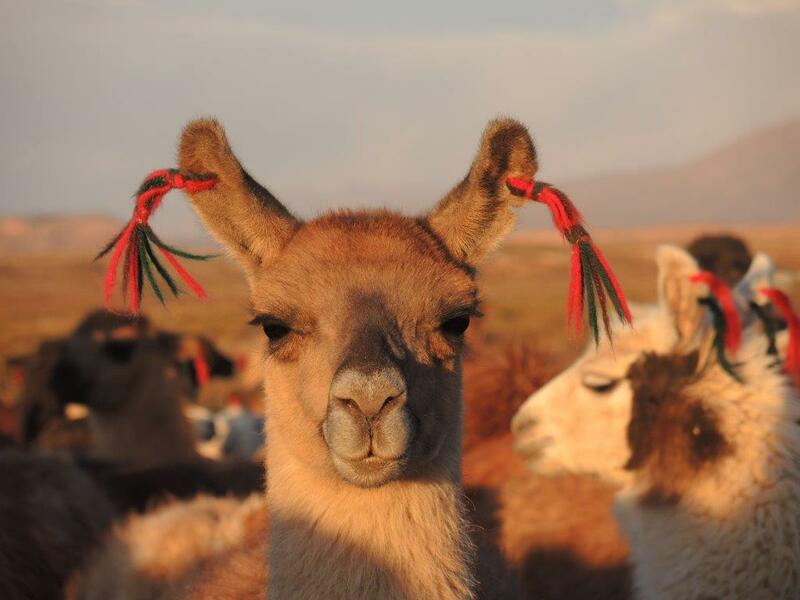 Recent developments in the global quinoa trade have devastated the fragile ecosystem of the Bolivian Altiplano. As quinoa production intensified, farmers ploughed up large sections of native vegetation, which left the soil prone to wind erosion. With the thin fertile top soil being blown away and young quinoa plants being covered with sand, many farmers abandonned their land and moved to the cities. The loss of native vegetation also limited the forage available for the llamas and vicuñas. 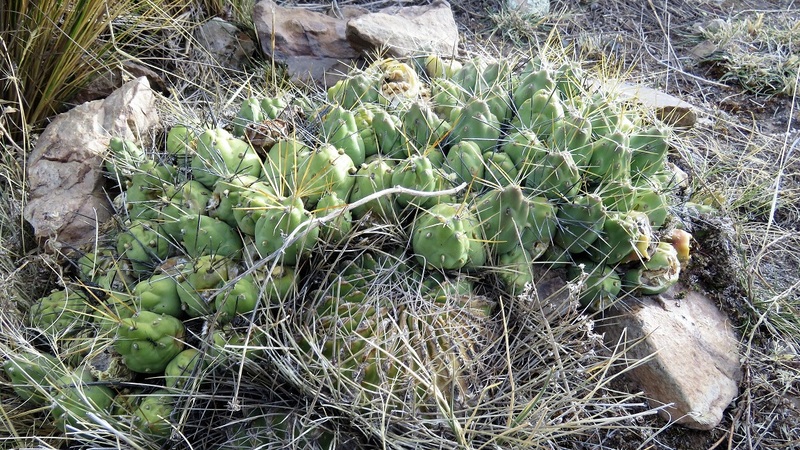 To address this problem, the research organisation Proinpa is trying hard to re-introduce native plants. 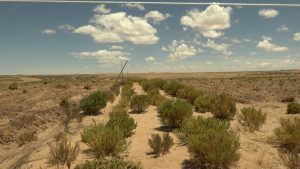 If native plants could be grown as live barriers around quinoa fields, they would provide fodder and at the same time reduce wind erosion. But some farmers are reluctant to adopt this technology. Planting live barriers costs money, labour and takes up part of their land. Many of the farmers who plant barriers belong to associations that market organic quinoa. Organic certification ensures that farmers get higher prices, as long as they follow certain practices (such as planting hedges) that contribute to a better social and natural environment. 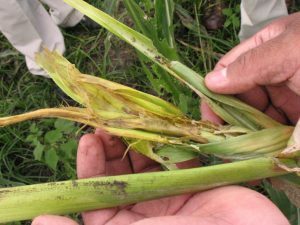 Subsidies for organic farming are rare in developing countries, premiums from certification schemes can partly make up for missing government subsidies, unless pests also like organic crops. 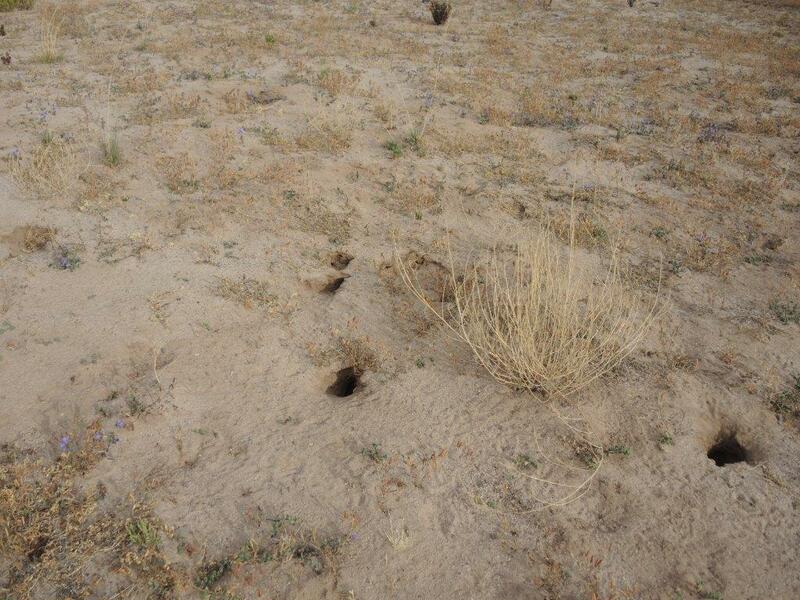 Farmers who grow live barriers told Proinpa that the hedges attract mice who can destroy young quinoa seedlings. Mice are also attracted to the harvested grain as it dries in the field, before threshing. If the quinoa is not stored properly, mice often get into the warehouses. 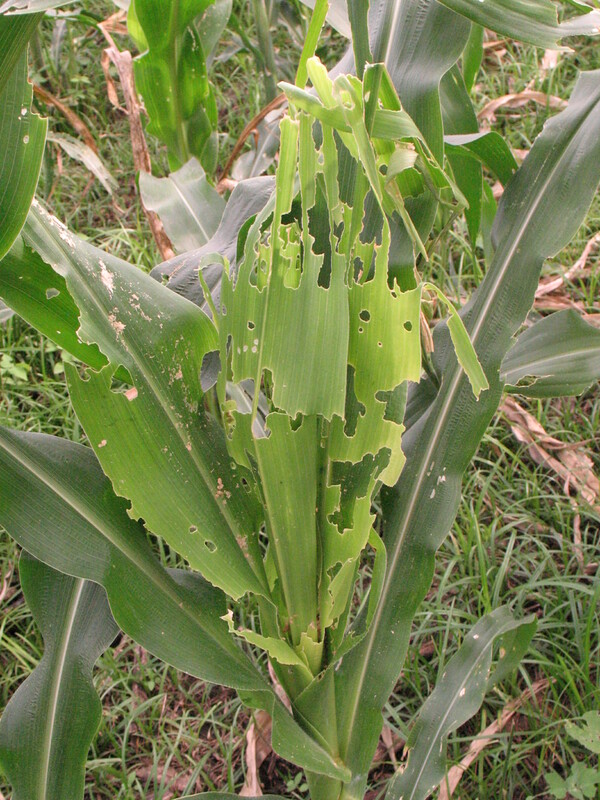 When droppings foul the grain, the crop is rejected for organic trade. Organic agriculture can be a blessing to boost the income of smallholder farmers and to protect the environment. But as this example shows, organic farmers are prone to additional challenges. 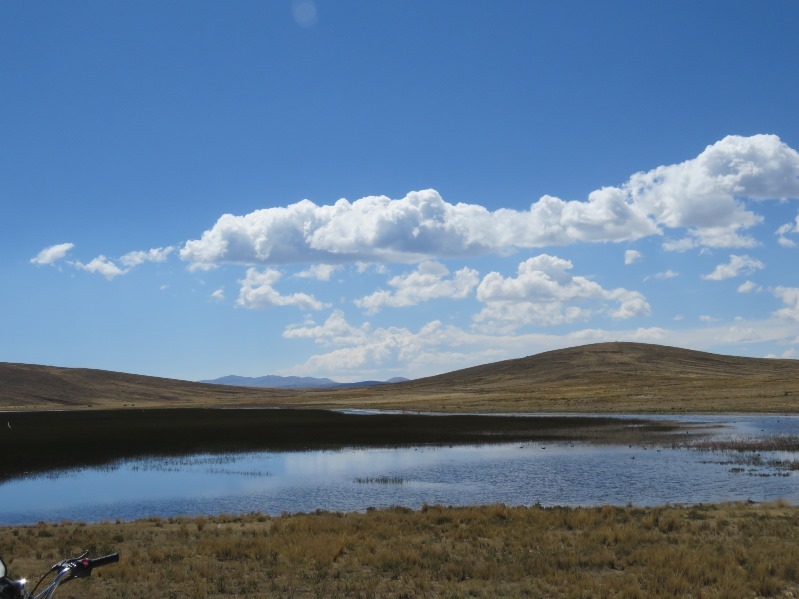 Farmers on the Bolivian Altiplano set traps by burying cans partly filled with water to drown the mice. 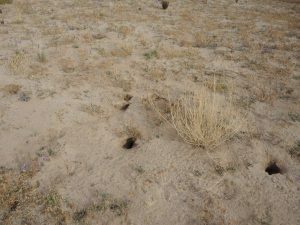 Frustrated quinoa growers also stomp on mice burrows in thie fields or leave quinoa chaffe at the entrance of mice holes, so they eat this and leave the young quinoa untouched. Every new technology has unintended consequences. Perhaps no one anticipated that live barriers would protect mice, and the soil. Yet farmers who have planted the barriers see their benefit and are willing to find new ways to take on the mice. The video from Bolivia on live barriers against wind erosion will be published early next year on the Access Agriculture video platform . The video on live barriers in Bolivia is developed with funding from the McKnight Foundation’s Collaborative Crop Research Program (CCRP). Thanks to Milton Villca, Eliseo Mamani and colleagues at Proinpa for background on this story. Sometimes even rational people fight innovation, as we learn in this recent book by the late Calestous Juma, a Kenyan scholar who taught at Harvard and who enjoyed the rare distinction of being elected as a fellow of the Royal Society of London and a foreign associate of the US National Academy of Science. To condense Prof. Juma’s nuanced and complex thesis, there are two good reasons to oppose innovation, and one surprising outcome. Second, an innovation is opposed by the social network that uses and supports the incumbent technology. Electric lights were competing with a well-entrenched and profitable natural gas industry. Farriers, veterinarians and harness makers relied on horses for steady business and income. Older workers with the skills and experience to use an existing technology may resist an alternative. The Luddites were not a bunch of maniacs who liked to break things; they were skilled weavers in the 19th century who correctly realized that mechanized looms would replace experienced workers with unskilled ones. Fortunately, the dynamic tension between the old and the new can be as creative as the original invention, refining the timeworn technology or promoting innovative social structures. For example, margarine was invented in France in 1869 and was being manufactured in the USA by the 1880s. At the time American dairy farmers were poorly organized, but led by the butter factories, they eventually formed the National Dairy Council. This powerful lobby group harassed margarine makers, leading to legislation in five US states which required margarine to be dyed an unappetizing pink. They also spread disinformation, reporting bogus studies that claimed that margarine stunted children’s growth, for example. But nineteenth century butter was not the choice food that we know today; it was often rancid and adulterated with chemicals. Competition with margarine forced butter manufacturers to make a better product. And in the ultimate compromise, some spreads now blend butter and margarine. In the end margarine’s saving grace was not technical, but social. In the 1940s US margarine makers switched from imported coconut oil to American soybean and cottonseed oil, acquiring farmer allies that allowed them to fend off the big dairy interests and find a permanent place at the table. In the end, the innovation may never completely defeat the incumbent technology, which may settle into a competitive niche of its own. The gas industry fought electricity with all the imagination it had, creating gas-powered versions of every electrical appliance invented. There was even a gas radio in the 1930s (it had the added advantage of giving off a little extra heat). Electricity never completely replaced natural gas, which still provides heat and energy, but the rivalry lives on in the competition between gas ovens and electric models. There are some clear lessons here for agricultural scientists, who are often dismayed when farmers do not immediately adopt ideas derived from research. As we learn from the optimistic Prof. Juma: your invention may have potential in the long run, but in the short term it may still have bugs that need to be fixed. Innovations often seek to replace existing technologies that have proven advantages, and are familiar to users; the struggle between old and new can lead to creative solutions. 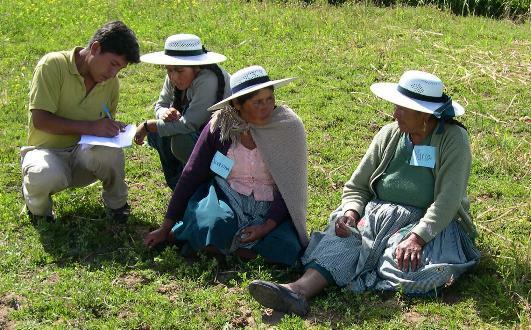 Specifically, researchers can use farmer field schools (FFS) or other experiences to learn about the farmers’ point of view and work together to adapt innovations to meet their needs and circumstances. Juma, Calestous 2016 Innovation and Its Enemies: Why People Resist New Technologies. Oxford University Press. 416 pp. I once saw a quantitative survey turn to dust, literally. I was a young graduate student in Tucson, Arizona when an older anthropologist asked me if I would like to write up the results of a survey she had conducted on the city’s largely Hispanic south side. She swung open the doors to her storage shed, revealing a large, cardboard box. When the anthropologist tried to lift some of the forms out of the box, they crumbled in her fingers. Tucson’s warm, dry climate is perfect for termites, which had carved their galleries throughout the sheets of paper. For that anthropologist, going door-to-door with her questionnaire had been the fun part of the survey. Analyzing the results and writing up the conclusions were harder. In the end the termites benefited the most from the survey. A few years later, I found myself in northern Portugal, on a questionnaire study of smallholder farmers. I was part of a team of anthropologists and economists who designed the survey form, a straightforward task – or so we thought at the time. But at 20 pages, the form took about two hours to fill out. To encourage farmers to take part, we said that their answers would make policy-makers more responsive to agriculture, which may not have believable. After we surveyed six parishes in the Entre-Douro-e-Minho province I went to live in one of them, Pedralva. There I learned how much the survey had annoyed the farmers. One couple had missed their irrigation turn while answering questions. One prosperous farmer complained how long the survey took and said that: “They even counted the eyes of the chickens!” That was an exaggeration (we had asked how many rabbits and chickens people had) but a sign of how frustrating farmers found the lengthy, prying survey. 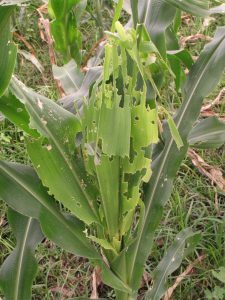 Even worse, the farmers mistrusted the survey’s intentions. The farmers assumed that the tax bureau would be informed of the results, so they claimed to have harvested a fraction of their real yields, inadvertently making their well-adapted farming systems appear unproductive. Eventually I learned to write shorter, more focused surveys, and to enter the data every night on a spreadsheet. And prizes can help to take the sting out of lost time. Once in the Chapare, Bolivia my colleagues and I rewarded each farmer we interviewed with three kilos of mineral fertilizer, left over from an earlier project. They liked the gift so much that one of them took the survey twice. Sometimes four or five questions are enough. 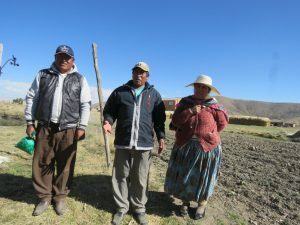 In Bolivia I once worked with a project that gathered hundreds of farmers for three “technology fairs” to watch other farmers demonstrate new ideas such as metal plows or fertilized quinoa. At the end we simply asked the fair goers what ideas they liked and which ones they wanted to try. The questionnaire was so short that a dozen agronomists could administer it in a few minutes. We could get feedback from some 200 farmers before breaking for lunch. Of course times have changed. Surveys in the city or in the villages can now be entered electronically on a tablet. The questionnaires being filled out today are immune to termites, and you can send them out on-line. But one thing remains the same. People still don’t like to answer long questionnaires. When you fill out a questionnaire in person, the respondents may be too polite to break off the interview, but with an on-line version, fatigue sets in quickly. On-line surveys yield the best results when they are short. Some respondents are willing to share more during follow-up phone calls or emails (as we have seen in previous blog stories (Families, land and videos in Northern Uganda. 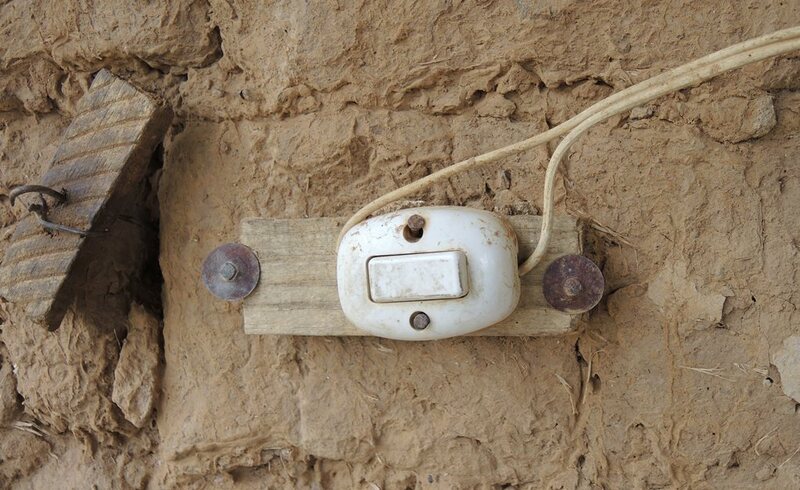 Watching videos to become a dairy expert, and Drip irrigation saves water in South Sudan). Whether on-line or in-person, a few simple questions may be as revealing as a long and tedious questionnaire that tries too hard to gather information. If do you need answers to lots of questions, consider rewarding people for the time they give you. Pearson, S.R., F. Avillez, J.W. Bentley, T. J. Finan, R. Fox, T. Josling, M. Langworthy, E. Monke, & S. Tangermann 1987 Portuguese Agriculture in Transition. Ithaca: Cornell University Press. Bentley, Jeffery W. 2003 Desarrollo Participativo de Tecnología en el Trópico de Cochabamba. Cochabamba: Development Alternatives, Inc.
Bentley, Jeffery W., Graham Thiele, Rolando Oros & Claudio Velasco 2011 “Cinderella’s Slipper: Sondeo Surveys and Technology Fairs for Gauging Demand,” pp. 276-301. In André Devaux, Miguel Ordinola & Douglas Horton (eds.) Innovation for Development: The Papa Andina Experience. 418 pp. Lima: International Potato Center. Originally published in 2004 as AgREN Network Paper No. 138. 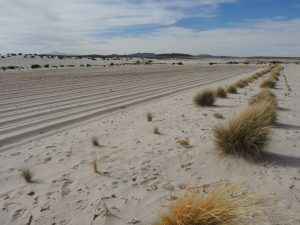 Bentley, Jeffery W., Claudio Velasco, Félix Rodríguez, Rolando Oros, Rubén Botello, Morag Webb, André Devaux & Graham Thiele 2011 “Unspoken Demands for Farm Technology”. pp. 302-324. In André Devaux, Miguel Ordinola & Douglas Horton (eds.) Innovation for Development: The Papa Andina Experience. 418 pp. Lima: International Potato Center. Originally published in 2007 in International Journal of Agricultural Sustainability 5(1): 70-84.